© Jesse Ward/for New York Daily News Genovese soldier Sal (Sallie) Demeo leaves Brooklyn Federal Court on Oct. 12, 2017. A tax-dodging wiseguy finally owned up to trying to stiff the feds. Reputed Genovese soldier Sal (Sallie) Demeo pleaded guilty to attempted tax evasion Monday in Brooklyn Federal Court. Prosecutors said Demeo turned a $2 million profit in 2013 and 2014 by selling shares of downtown Brooklyn properties he inherited from his father in 1991 — but he didn't report the capital gains windfall. Demeo and others with shares in the properties along Atlantic Ave., Pacific St., Bond St. and Schermerhorn St. sold off the lots for a combined $18.2 million. Demeo, 78, devised a plan to keep IRS eyes off his money, authorities said. He had his proceeds carved up into eight separate checks and then deposited most of the money in accounts that weren’t his. He put $1 million in the account of a plumbing business he didn’t own. Another Genovese crime family member operated the business, court papers said. Demeo also sent roughly $350,000 to someone who ran an unlicensed check cashing business, which funneled the money back to him for a fee. “I was aware I was responsible for paying these taxes,” Demeo told Magistrate Judge Vera Scanlon during his plea. Demeo will have to pay the government more than $367,000 in owed taxes under his plea deal. He might pay up by arranging sales on other Brooklyn properties in which he has a stake, his lawyer said. The charges aren’t mob-related, but a month before his October 2017 arrest, Demeo was sentenced to five years’ probation in Brooklyn Supreme Court. 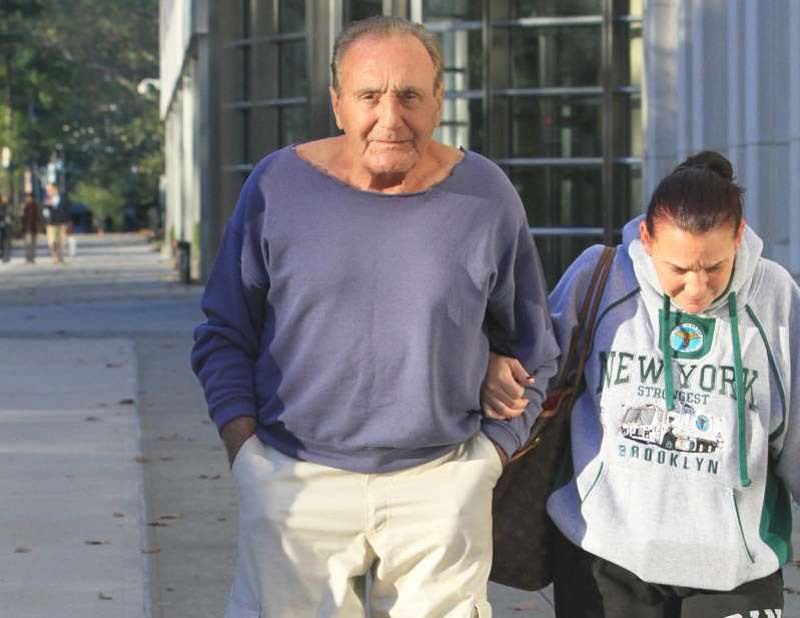 Demeo had previously pleaded guilty to his role in a loansharking and gambling ring. He is slated for sentencing in October on the tax charges and federal guidelines indicate he could face around two years behind bars.